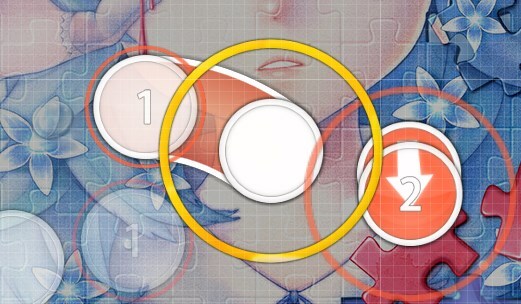 kamome sano - </emotional> · forums · community | osu! Rip Period Blood guys. The dream is dead. There is 1/8 (extended slider to 1/8) The first piano note on the next slider is 1/16, but I can't map that with a repeat (but it's like a super late 1/16). The next two notes should be accurate. Last edited by Naitoshi August 5, 2016 at 10:38:34 PM GMT , edited 1 times in total. Hello, sorry for being so slow, I had zero motivation and zero working laptops available. 00:32:939 (1,2) - unstack this, repeat arrow is completely hidden under the slider and almost impossible to notice. https://qb.s-ul.eu/dBmJHXdJ.jpg will work ye, uncovered reverse arrow so that it is noticeable in-game. dayum small slider. 01:56:646 (4,5) - i understand you made a gimmick map, and i appreciate it, but this pattern feels way too unpleasant and unexpected, thus i want to ask you to not cover the sliderbody completely I wasn't so sure about this though. I nc'd so that it is more noticeable as a slider, but I really love how it plays.